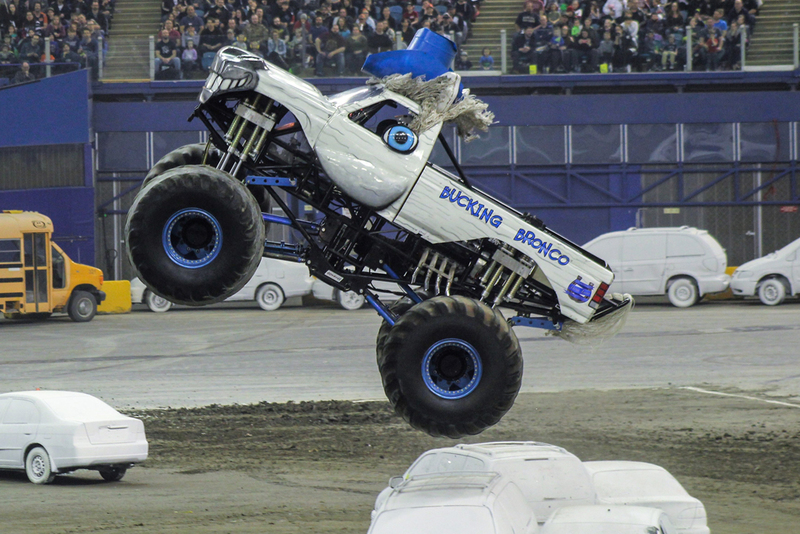 Back in 2005 Bucking Bronco creator and owner Kevin Lubsen decided to make the transition from being a long time monster truck fan, to being a monster truck owner! It was then that the Bucking Bronco was born. 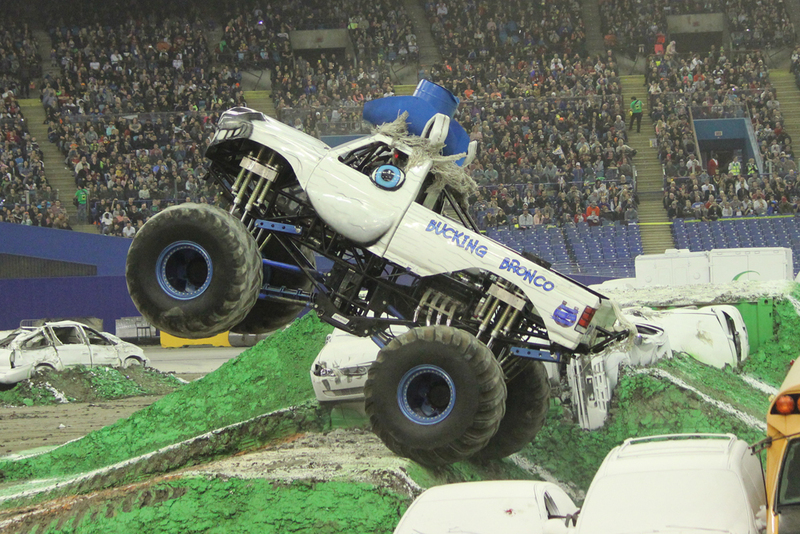 Originally the team started small with a basic ride truck, used in events in Canada to give fans a safe and exciting way to get a taste of what it was like to ride along in a real, full size monster truck. 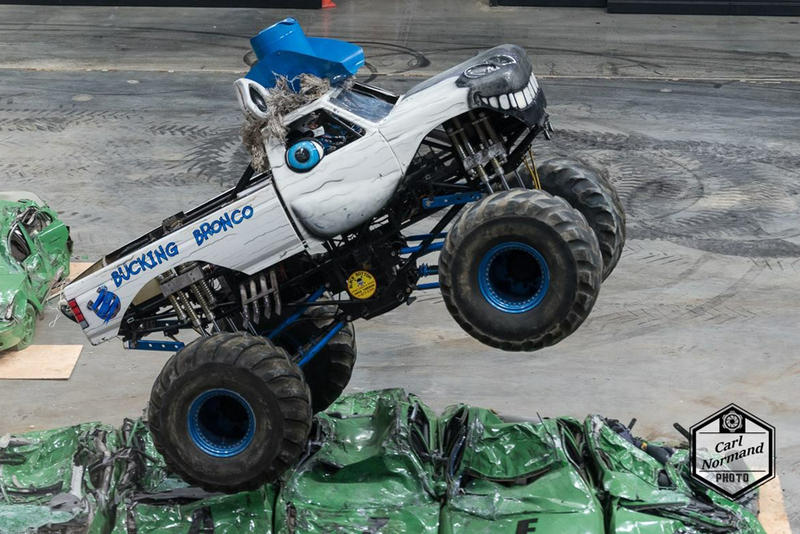 After several years of owning and operating the ride truck, the team wanted to make the leap to creating a full blown, competition ready Bucking Bronco race truck. 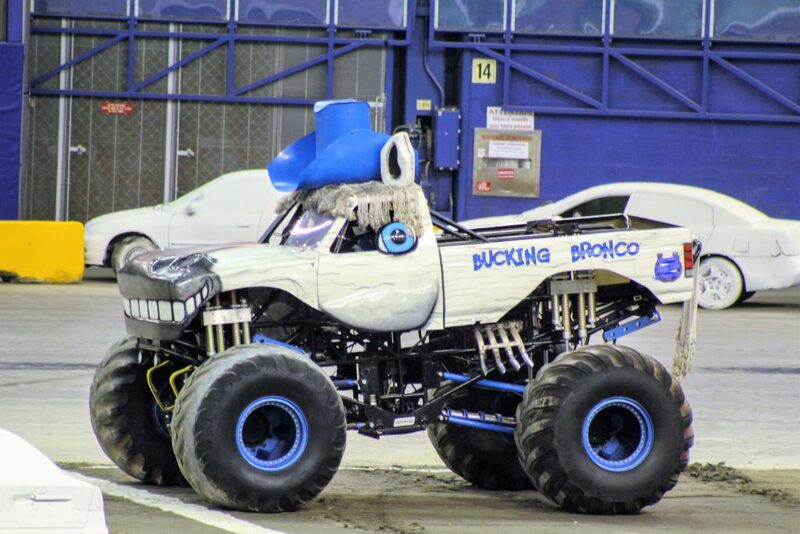 In 2015 they started making their dreams a reality as they started constructing the all new Bucking Bronco. The chassis was fully constructed in house at the team’s shop in Toronto, Ontario and then the rest of the truck was assembled by the team as well. 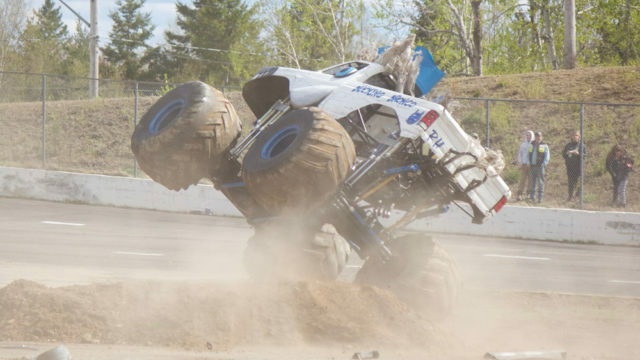 The truck was fully assembled by the spring of 2015 and was let loose out of the stable for its first test passes. 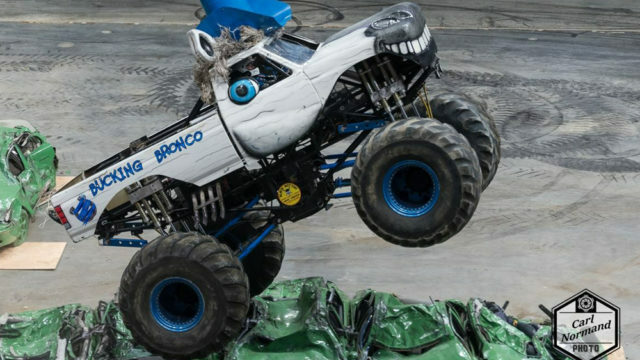 The next year the truck would make it’s official debut at Sauble Speedway sporting an over the top and totally unique 3D body that truly embodied the Bucking Bronco name. 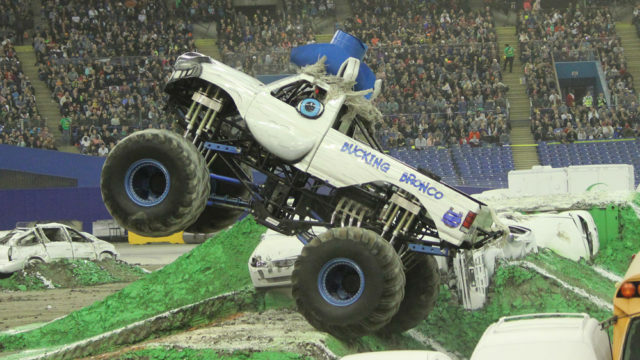 Since making its competition debut the Bucking Bronco has competed across North America in many events for a variety of top promoters in the monster truck industry. 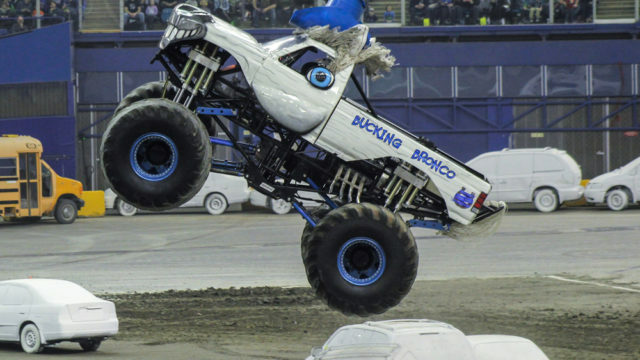 The truck draws attention every where it goes whether it’s in competition, pit parties, and static displays for promotional events. 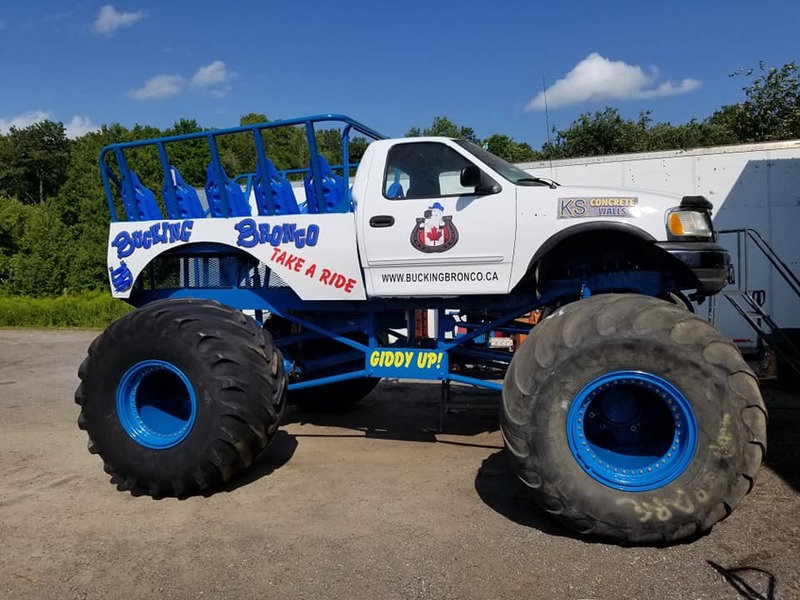 We’ve also expanded our operation with the completion of a brand new Bucking Bronco ride truck which was completed in the summer of 2018. NEW TRUCK IN 2018! WADDED UP ! We are very excited to announce that we are adding a second race truck to our team. The new truck’s name is WADDED UP. 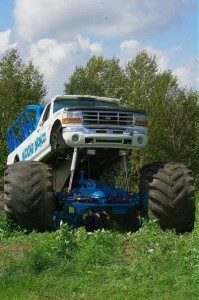 The Chassis was bought from Micheal Harper and the Outlaw Monster Truck team. The chassis was completely refurbished with a completely new roll cage shock towers ect and powder coat. The rest of the truck is being built in house at the Bucking Bronco Stable . 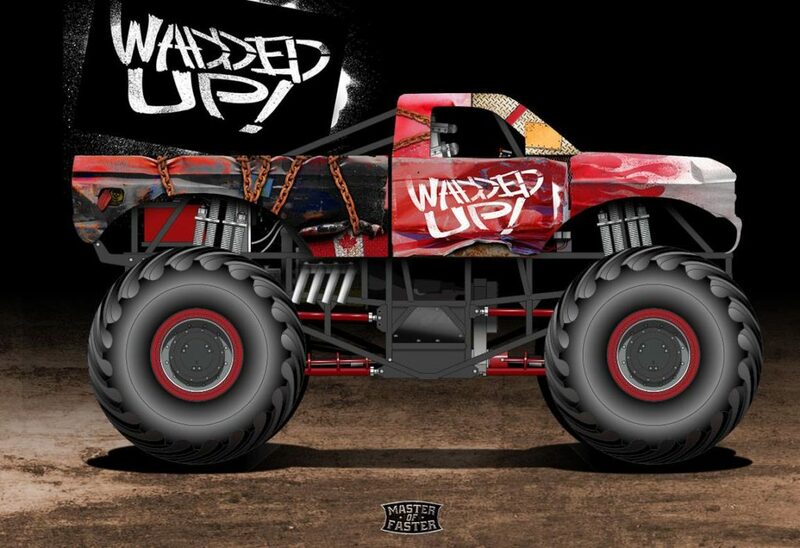 WADDED UP will debut in South Carolina on November 3 2018. Want some Horsepower at your next event? Book the Bucking Bronco today! 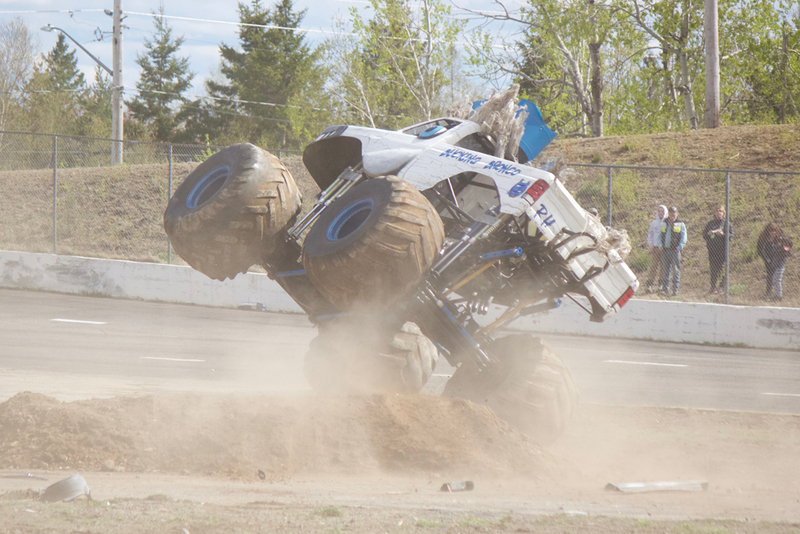 We’re available for full Monster Truck events as well as static displays and car crushes. ONE OF THE TOP ADVENTURES IN THE WORLD– by FHM Men’s Magazine!